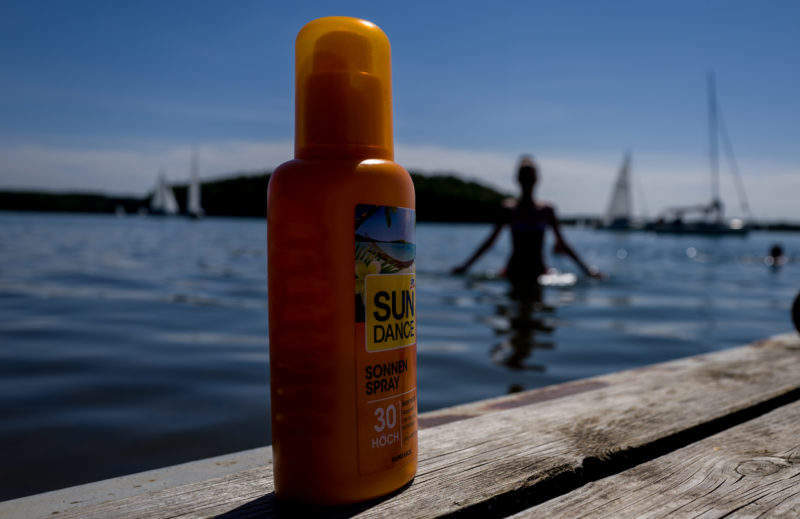 Over one third of UAE women apply suncare products before going to work, compared to just 14% in the US. The hot climate of the United Arab Emirates (UAE) creates unique opportunities for suncare brands as well as for beauty players across categories to integrate suncare features into their product portfolios. Over one third of UAE women apply suncare products before going to work, compared to just 14% in the US, suggesting that awareness of the impact of sun damage is high in this market. In turn, daily-use products such as moisturisers that incorporate sun protection benefits are likely to be well-received. 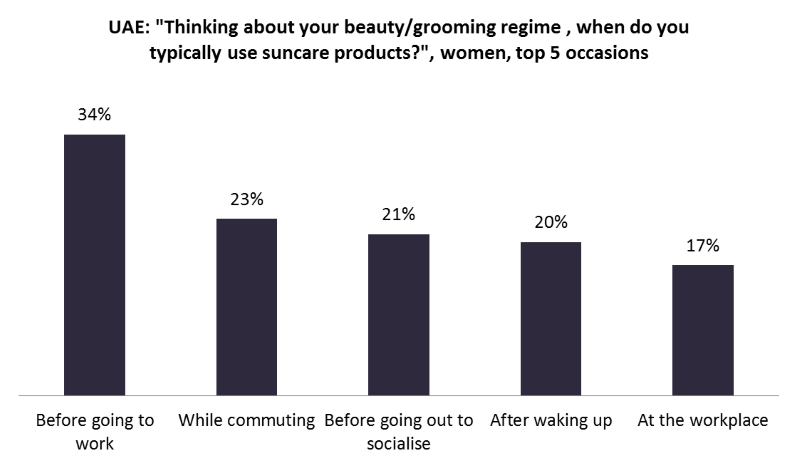 Applications are not limited to daily-use products but could be extended to products typically used prior to social occasions, given that 21% of UAE women claim to use suncare products prior to going out to socialising. Multifunctional make-up products such as foundations, primers and even eyeshadows featuring sun protection benefits could appeal to this consumer base as they seek complete protection from the sun. Looking ahead, wider environmental protection claims are likely to gain traction given high receptivity to sun protection products. This creates opportunities for brands to incorporate more sophisticated claims such as pollution and infra-red protection into their product offering to tap into the environment-conscious nature of consumers in this market.